This just in: Humans ruin everything, even the beauty of tigers in the wild. The jungles of southern India will soon have flocks of armed commandos throughout, with the sole purpose of deterring poachers from capturing and killing endangered tigers. According to the Bangalore government, the 54 members of the Special Tiger Protection Force will patrol the two main tiger reserves in Nagarhole and Bandipur national parks, both on the Karnataka-Tamil Nadu state border. The squad has prepared by undergoing a three-month training course teaching weapons training, map reading, field engineering, and survival techniques. In addition to this squad, 54 additional personnel will be deployed throughout the other three tiger reserves across the state. India houses half of the world’s wild tiger population, a number that is rapidly dwindling as a result of poachers, loss of habitat, and international smuggling networks. The tiger population of India was around 40,000 in 1947, and in 2001, the number was lowered to just 1,706. 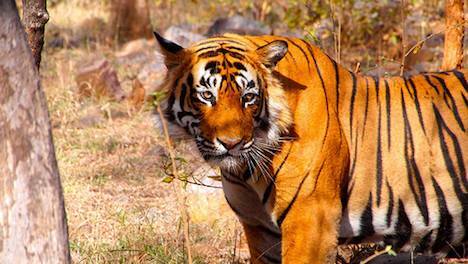 Only about 300 tigers are prowling the major reserves of Karnataka, the Indian state with the largest tiger population. According to the state forest department of Karnataka, about 50 tigers have died there since 2006, with half of them killed by poachers who sold their carcasses for use in Chinese medicine. The National Tiger Conservation Authority has set aside $890,000 to deploy these commandos throughout India. First freshwater fish, now tigers. Will we ever learn?